Moocachoo Colour Me Moochi Bag - is brand new to South Africa – totally cool for kids! 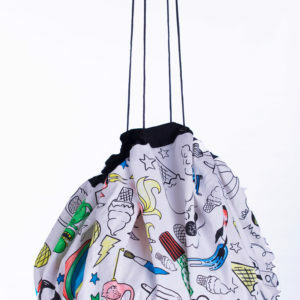 The Colour Me Moochi Bag is brand new to South Africa – totally cool for kids! These bags are super versatile and completely custom designed with all of our favourite things to colour in at Moo Cachoo! 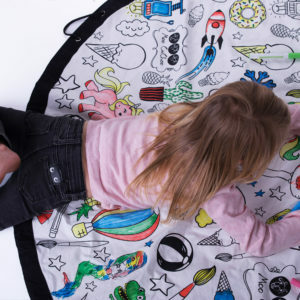 3-in-1 Uses *Giant colouring in book (includes 5 non toxic Fabric Markers) *Toy storage bag (easily scoops toys up into a drawstring bag) *Playmat (diameter of 140cm Machine washable and loads of fun for your budding Picasso!